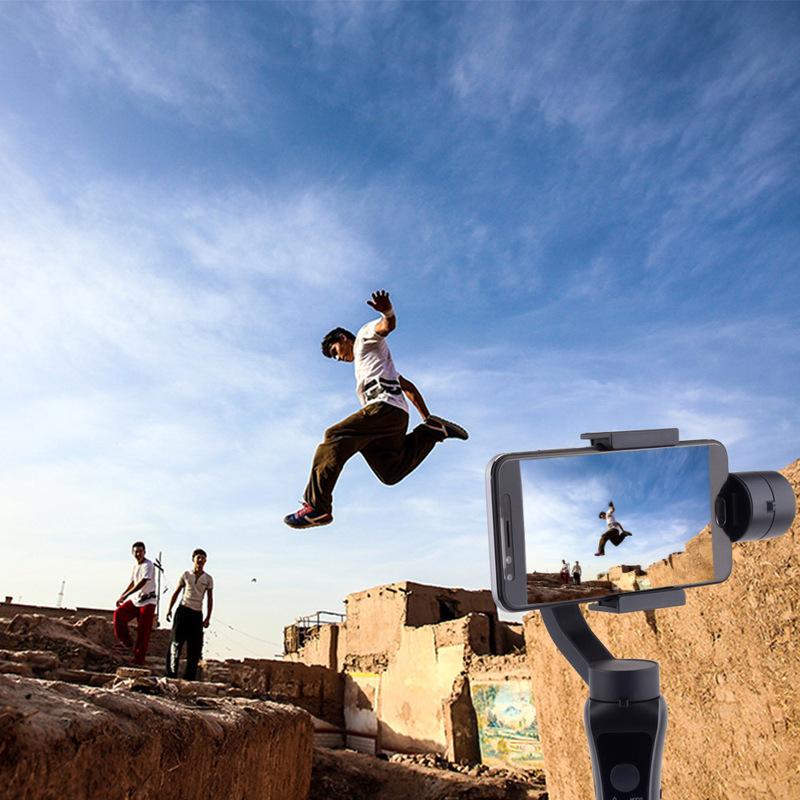 It is a cost-effective choice for those who enjoy taking videos with their smartphone. 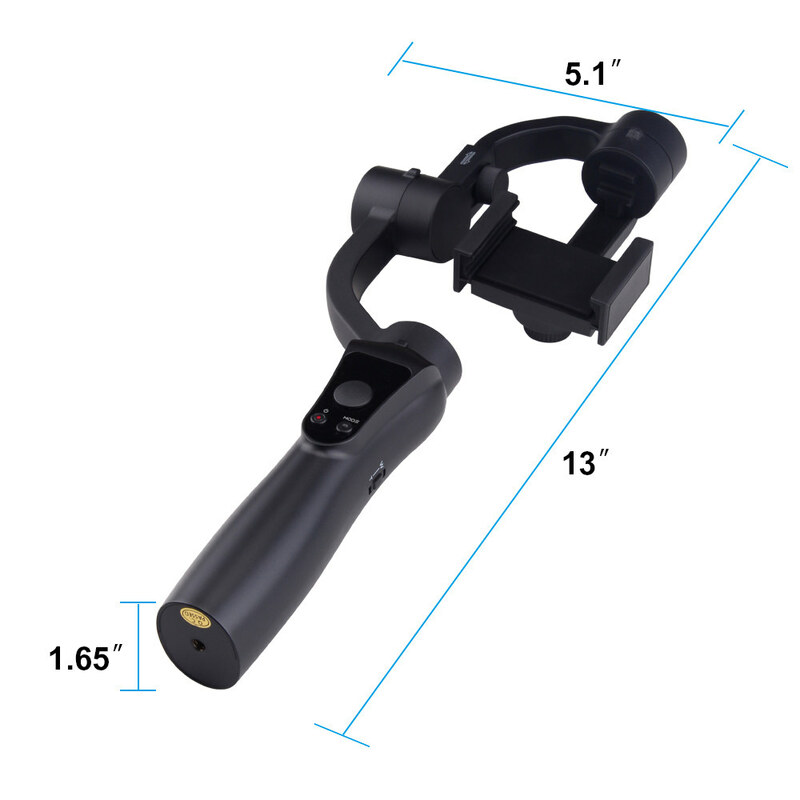 The stabilizer whose pitch axis adjustable from 0 to 325 degree and roll axis adjustable from 0 to 160 degree, allows you to change the horizontal mode into the vertical mode quickly by pressing a button. 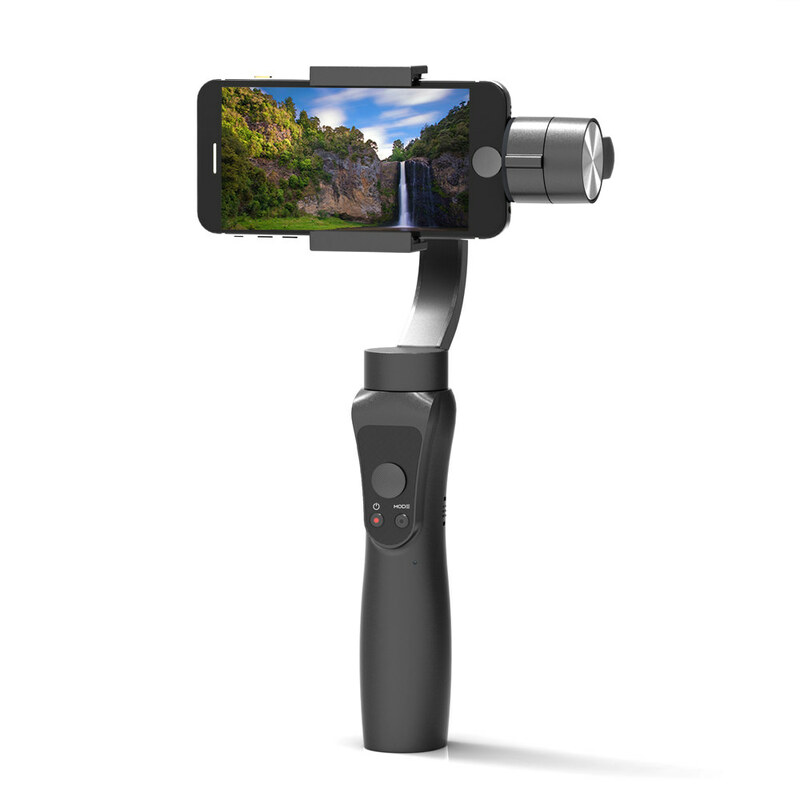 Made of solid compound material, the gimbal can handle up to 200g payload, which means that it supports nearly 98 percent phones on the market. Moreover, the sliding arm makes it convenient to balance the phone so you can start filming immediately. 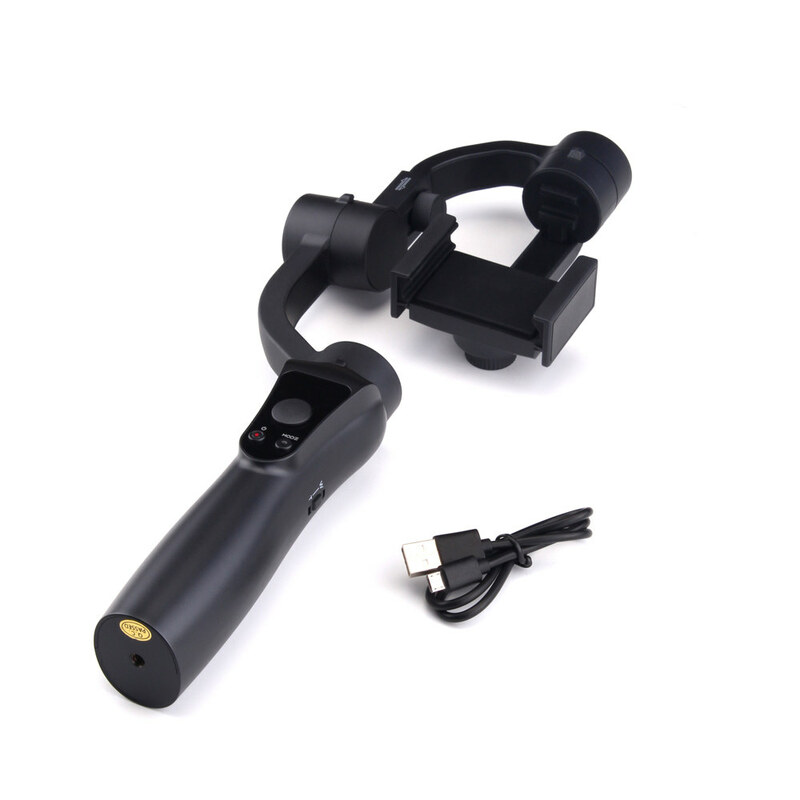 It's very suitable for travelling, sports, party or other similar scenarios. 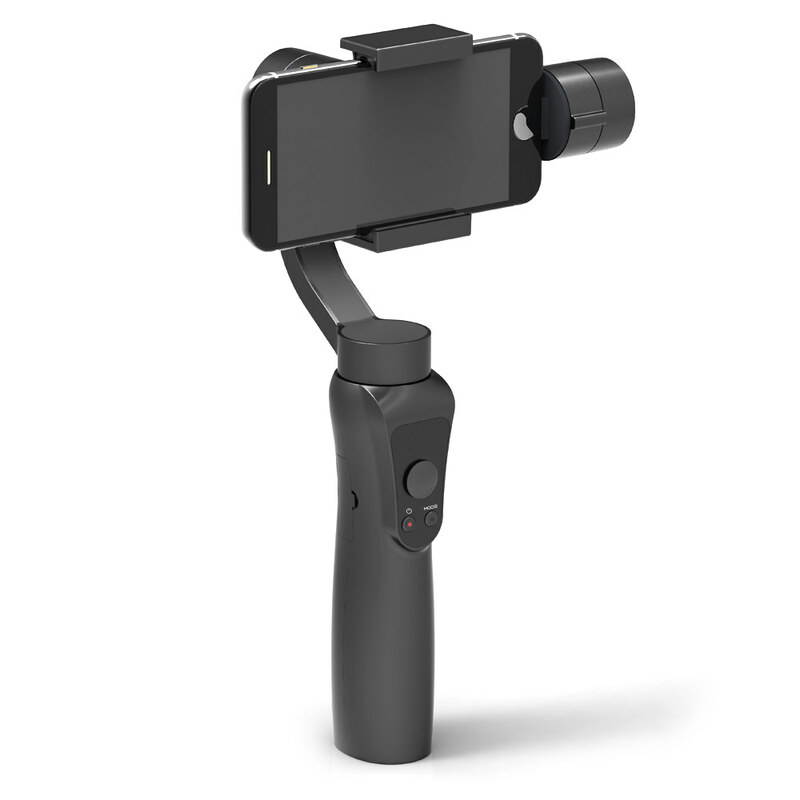 Supports 75-200g payload, 98 percent smartphones ( 6 inches or less ) on the market. Built-in 4400mAh high-power rechargeable battery, supporting 12 hours' continuous runtime, easily charged by USB charger.